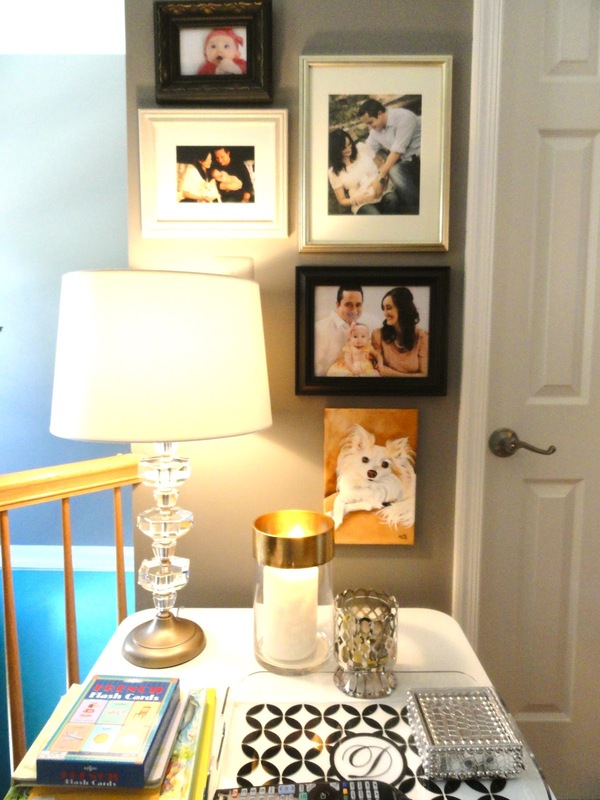 Rachel's Nest: Josh's Father's Day gift from Lola! Ok, maybe she had a little help from me! In all seriousness, Josh and I had always talked about how we wanted to have Lola's portrait painted because she's such a little princess, it would just be fitting. I thought Father's Day would be the perfect occasion to give him this gift! I searched for some artists on Etsy and decided to go with Perlilla Pets. I cannot tell you how thrilled I was with Perlilla's customer service and talent. First of all, I asked her to create the portrait with very little notice so that I could have it in time for Father's Day, and she sweetly agreed to rush it...all the way from Italy! I sent her a few pictures of Lola and described her personality, and within days, Perlilla sent me a photo of the completed portrait for my approval. She involved me in every detail, right down to the background color of the painting. When I saw the finished product, it needed no changes. It was perfect and looked just like our Lola! Perlilla even went the extra mile and included a sweet handwritten note with the portrait as well as coupon for my next order with her. And trust me...there will be another one! I want to let you know that I have no affiliation with Perlilla or her shop, nor was I compensated in any way for this post. I paid full price for my portrait, just like any other customer would. I just liked her so much that I had to let you all know about her and her shop in case you'd like to have your own pet painted. In fact, Perlilla Pets is offering a 10% off coupon code just for my readers, valid until September 30th! 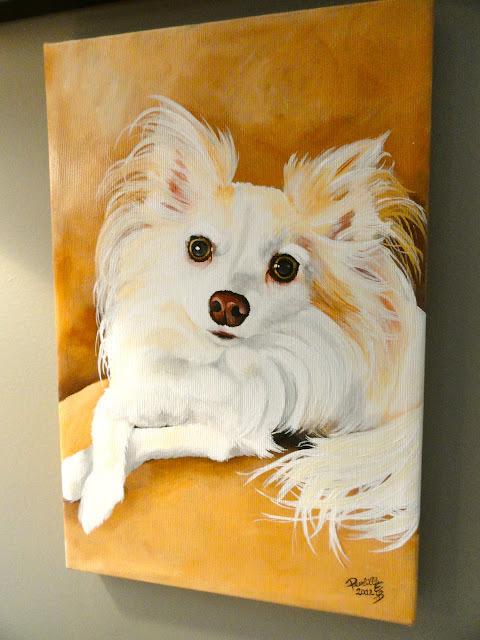 Just use the code 10PETPORTRAIT29 when you place your order. Wouldn't this be a great gift for a pet lover, or even for yourself?! Josh absolutely loves it, and so do I! We already hung it up (of course)....here it is! 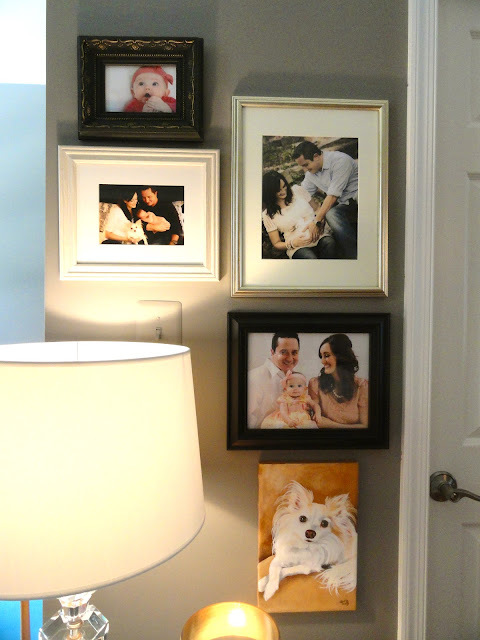 I love that Lola now has her own spot on the wall of family photos! What do you guys think?! Have you ever had your pet's portrait painted? What did you give or receive for Father's Day? Let me know in the comments! Lola is such a beautiful little girl! I love the portrait! I love this of Lola. She is so cute. I have been wanting to do this with our two cats. I think your post convinced me to do so. 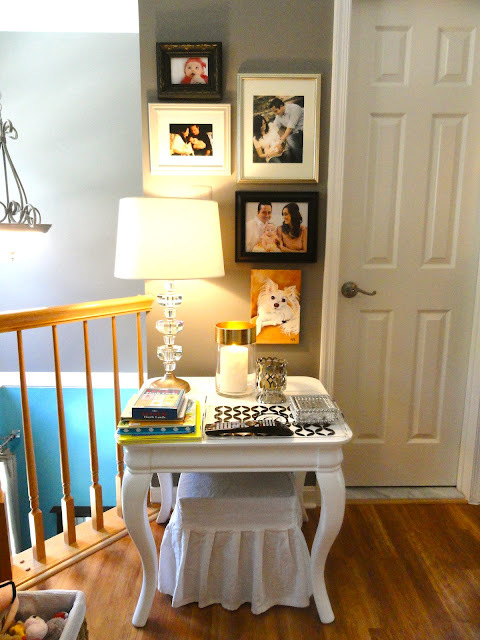 Love your blog and enjoying seeing pictures of your gorgeous growing family. Thanks girls! If you're thinking of getting one of your own, definitely go for it! Perlilla is so sweet to work with and her portraits are so beautiful!